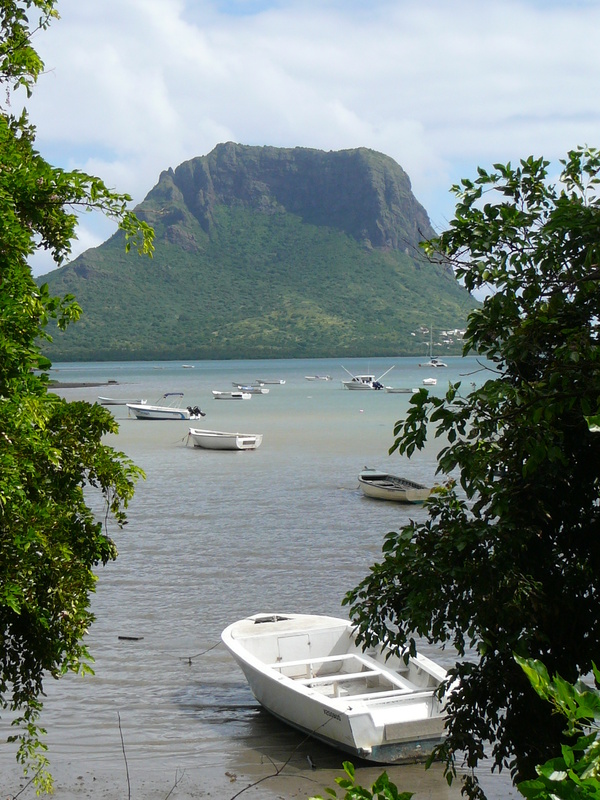 Our next port of call is the island of Mauritius and we have arranged for a local rental company to deliver a car for us to the ship. An attractive young woman greets us with the car, hands us the keys and prepares to leave. I challenge you to come up with a polite reply to that. Once we start off we also discover that we didn’t ask for gas to be put in the car either. The alarm light showing that the fuel tank is empty is flashing with a considerable urgency. The only downside to an otherwise beautiful island is that petty crime is rife and the people unfriendly. When we return the car to the attractive young lady, she is waiting for us. She has clearly given some thought to the fact that we are English and that we might be of some use to her. “Are you married” she asks almost immediately. “No” we reply, thinking this is a rather personal question for a rental car clerk to ask. She explains that she is married. But she wants nothing more than to leave Mauritius and her husband behind her. She could move to England , she says. And there is a pregnant pause while she looks at us expectantly. That’s nice, we say showing as little enthusiasm as we could without being rude. “People from Mauritius can move to England’ she says. Another pause, this time with a winning smile thrown in. “Of course I would need a job” she continues. This line is delivered with a knowing look and a lot of fluttering eyelashes. The next day we stop at the island of Reunion. Prior to this cruise we, and most people we speak to, have never heard of it. But after spending the day there, we can’t understand why. It is just as beautiful as Mauritius but in a different way. 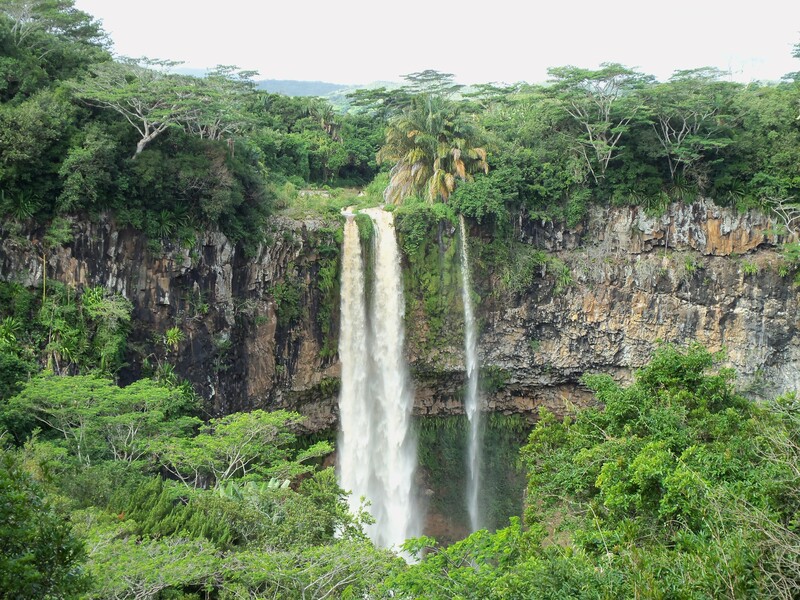 There are very few beaches and the vegetation, while just as green as Mauritius, is not as tropical. We have a car again and spend the day exploring. The island is French and is able to claim that it is the southern most part of the European Union. As such it has benefited from EU subsidies. 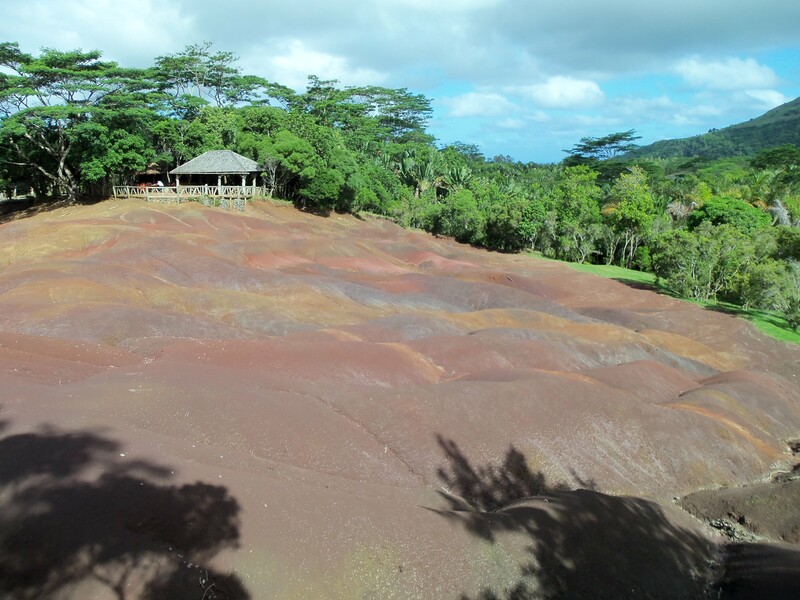 It is a much wealthier island than Mauritius with wonderful roads and attractive towns. It is dominated by huge volcanic mountains one of which is the highest point in the Indian Ocean. 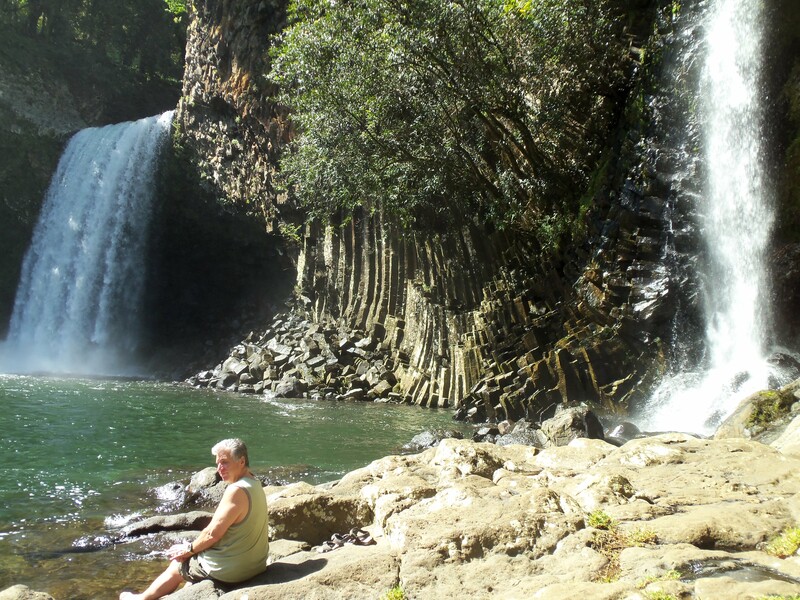 After exploring a long and tiny country lane winding its way through miles of sugarcane we find ourselves at the top of a beautiful waterfall. We find a narrow flight of hundreds of steps winding its way down the cliff and we we follow them. They lead to a magical pool almost totally surrounded by steep cliffs. Three separate waterfalls plummet into it. On one side of the pool there is a narrow gap in the rocks and the water flows through that into another waterfall. This entry was posted in Mauritius and Reunion. Bookmark the permalink. what, you didn’t skinny dip?? 😉 absolutely gorgeous….